EU migrant deal reached with Turkey Jump to media player EU leaders have agreed a joint proposal to be offered to Turkey to try to ease the migrant crisis. The man fleeing Syria in a wheelchair Jump to media player EU leaders have agreed a joint position to put to Turkey in an attempt to reach a deal over the migrant crisis, Luxembourg's prime minster says. The lives behind the lifejacket mountain Jump to media player Migrants who survived the journey from Turkey to the Greek island of Lesbos, recount their perilous voyage. 'A tough place to live' as Idomeni migrants wait Jump to media player EU leaders are to meet to try to finalise a deal with Turkey to help ease the migrant crisis. 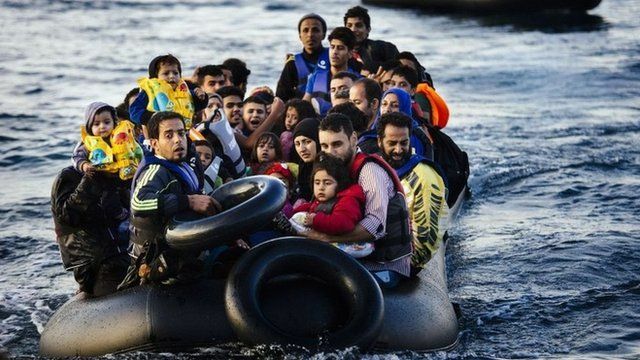 EU leaders have agreed a joint proposal to be offered to Turkey to try to ease the migrant crisis. The deal would see all migrants travelling to Greece from Turkey sent back. Turkey has warned that it will not become a "depot" for migrants.